It's coming together! 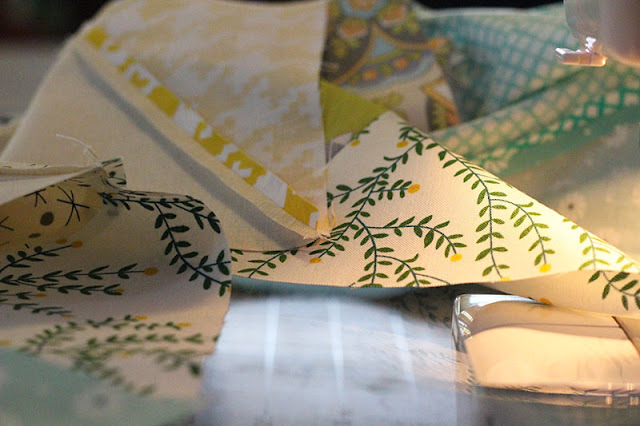 And sewing triangle quilt blocks is much more difficult than I expected (and I thought it would be hard). I'm beginning to suspect that while cutting a slightly generous piece and sewing a scant seam works very well for standard square/rectangle shaped quilt blocks, that exact precision is much better for triangles. Will test this theory on the next iteration of this quilt.